The Jaguar style and elegance is often imitated, but never duplicated. To get behind the wheel of one of these fine cars in Marlboro, Freehold, or Englishtown, Ray Catena Jaguar Marlboro invites you to check out our current Jaguar reviews. You won’t find luxury and interior amenities like you will in a Jaguar. When searching for a car, there are many places to turn to for information. You may look online, check out a physical vehicle brochure, or talk to a sales representative at a dealership. To be fully informed of all your options, we’ve compiled vehicle reviews to talk about important features and what you need to know. Every Jaguar review will cover the important things you need to know about. The features, the amenities, the design… Everything that matters. There’s always a lot to think about when buying or leasing a car, but our reviews break things down in a convenient format. Doing research before finding a car is just part of the process. You’re going to be driving this car for years to come, so this is a decision you want to get right. Checking out our Jaguar reviews can help you discover which vehicle might be right for your needs. A test drive is still the best way to experience a car, and we’ll set one up for you and have the keys waiting if you’d like. You might wonder which model is right for a weekend adventure, or which one offers the most horsepower for a thrilling ride. Feel free to check out these reviews while lounging around on your phone or while at the office, and you’ll find the answers to all your questions. When the vehicle research process is nearing its end, we invite you to circle back to these reviews. They offer a great summary of the models on our lot. 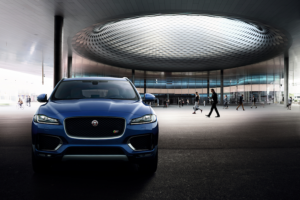 Explore Jaguar models like the E-PACE, F-PACE, XE, and XF at Ray Catena Jaguar Marlboro. Your travels through Marlboro, Freehold, and Englishtown deserve to be special. Check out our current Jaguar reviews, and schedule a test drive with us today.